Roxanne forges a career unique for women in the 1950s, becoming an agent for hungry young screenwriters. She struggles to be taken seriously by the men who rule Hollywood and who often assume that sexual favors are just a part of doing business. When she sells a script by a blacklisted writer under the name of a willing front man, more exiled writers seek her help. Roxanne wades into a world murky with duplicity and deception, and she can’t afford any more risks. Then she meets Terrence Dexter, a compelling African American journalist unlike anyone she’s ever known. Roxanne again breaks the rules, and is quickly swept up in a passionate relationship with very real dangers that could destroy everything she’s carefully built. Roxanne Granville is a woman who bravely defies convention. She won’t let men make all the rules, and won’t let skin color determine whom she can love. 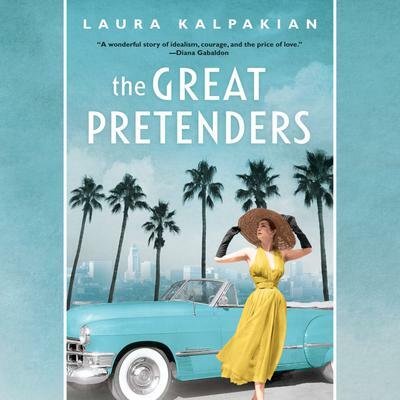 The Great Pretenders is a riveting, emotional novel that resonates in today’s world, and reminds us that some things are worth fighting for.